Whatever recipe Lisa Mann is currently using to cook her albums, I hope that she has it written down, because they’re definitely a gourmet taste. 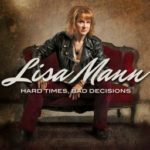 Her latest release, Hard Times, Bad Decisions, is chock-full of that same winning flavor that has seen her star rise onto an international level, reaping all kinds of accolades and two consecutive Blues Music Awards. There is a great cast of players working with Lisa on the disc. Aside from Her Really Good Band mates Jason JT Thomas on guitar, Michael Ballash on drums and Brian Harris on keys, she is joined by Portland-based friends Andy Stokes, Rae Gordon, Ben Rice, Sonny Hess, Louis Pain, Dave Melyan, Renato Caranto, Steve Kerin, Chris Mercer, Joe McCarthy, and Stan Bock. That is an all-star collection indeed, but there are also a couple of big-time out-of-towners included, too, Mannish Boys guitarist Kirk Fletcher and Black Sabbath drummer Vinny Appice. There’s so much to like about this album. She is a vocalist who stands among the very best anywhere. And Lisa writes songs that range in multiple directions of emotion. She reflects on how choices for our lives are not always the best decisions made in the opening track “Hard Times, Bad Decisions.” “Two Halves Of One Broken Heart” is extremely touching in her duet with soul master Andy Stokes. This one grabs at your heart with its slower bluesy approach. “Doghouse” is a lot of fun as she tells her other half that he’s sleeping in the doghouse tonight and he ain’t getting any bone. And talking about fun on this song, how about Rae Gordon offering her vocals to the background, and throwing in a few of her own trademark dog barks, too. A New Orleans sound is all over “Ain’t Nunna Your Business” with Steve Kerin adding authentic Louisiana keyboards to the horn backing of Mercer, McCarthy and Bock. There are four covers on the disc that Mann truly finds the right direction for. 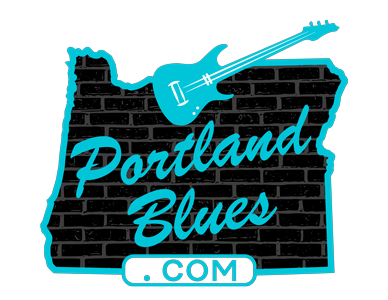 In particular, Portland’s own Mary Kadderly’s jazzy, bouncing number “I Go Zoom” features the guitar fire of pal Sonny Hess and the terrific piano playing of Alex Shakeri, with Lisa showcasing a nice bass solo that truly details why she is a two-time BMA recipient for her bass work. Also, Mann gives a beautiful take on Don Robertson and Jack Rollins’ 1953 piece “I Don’t Hurt Anymore” perhaps best known as sung by Dinah Washington, that has also seen covers by Hank Snow and Johnny Cash. Lisa’s take matches right alongside any of those renditions. The album closes with a deeply haunting pace as Ben Rice dishes out a very swampy resonator guitar and Vinny Appice handles the drums superbly as expected alongside a moody bass line from Mann on “Judge A Man Forever.” This takes the album pretty much full circle, where past decisions have once again played a strong part in life. The hopes here are that one’s life is not going to be forever marred because of bad choice that happened early on. It is a strong and emotive number to close out a sensational album. One thing that you can always count on with Lisa Mann, you’re going to be taken on a trip with lots of turns and excitement in her music. It just keeps getting better and more thrilling not just with every song on this album, but every album she creates, too. Don’t let it stop. Knowing Lisa, it’s just going to keep on rolling. Expect it!